DESCRIPTION Life is better when you live in Chestermere! Move in ready! This unique home in popular Rainbow Falls has three very large bedrooms! The master has its own 'retreat' area along with a walk in closet and spacious ensuite with jetted tub and separate shower! Spacious and bright this home is perfect for a large or extended family! Kitchen with granite countertops and stainless steel appliances! Large nook area for your table, living room with a gas fireplace, two piece powder room and convenient laundry complete the main floor. The lower level has an additional den / bonus room. The basement has an additional sitting room plus a large storage area which could easily be turned into an additional bedroom! Large backyard filled with mature trees! Call to book your appointment! Home for sale at 235 Westchester Bv Chestermere, Alberts T1X 1S4. 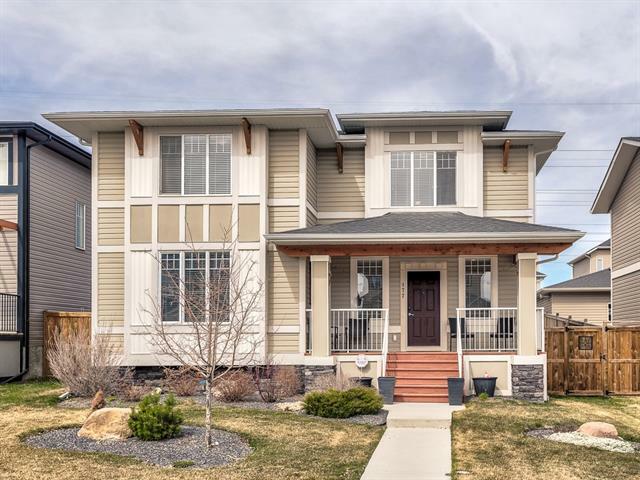 Description: The home at 235 Westchester Bv Chestermere, Alberta T1X 1S4 with the MLS® Number C4215717 is currently listed at $479,900.